There's no question about it: your children are the most important thing in your life. But if you have gone through a messy divorce, your relationship with your children may become strained if you have to deal with a toxic ex. Your ex may bad-mouth you in front of the kids, accuse you of being a bad parent, and even attempt to replace you in the children's lives with a new partner. As a result, your children may become confused, conflicted, angry, anxious, or depressed - and you may feel powerless. This may be a good book for people who have started raising kids together. My ex and I split before our son was born and have differences based on his controlling and verbally abusive behavior. This book seems to focus on the basic struggles of any kind of conflict between exes. It is really more for coping with any kind of contentious divorce. Not for clinical level toxicity or genuine abuse. I like the overall message that you should be present for your child and focus on them. There are some good overall tools in skills for dealing with situations covered in this book. It does however come from an assumption that this is something to be lived with rather than changed. The author seems to rely on the parental alienation syndrome (PAS) model which is surrounded in controversy. I would encourage anyone Learning about this to check out attachment based parental alienation (AB –PA) and get involved with changing this dynamic. When we focus on this as one parent and one child — it may seem insurmountable. But the truth is, there are many people dealing with this. When we band together we become a force much stronger than any individual ever could be. The title of the book is a bit misleading. The authors assume that both parents are toxic. This book is light on ideas to deal with the toxic parent and heavy on the Eastern mindful/dialectical parenting approach, e.g., strong undertow of moral relativism and absence of absolute truth. The authors suggest a Buddhist prayer. Childish and simplistic conceptually. I would recommend any relationship book instead of this one. Offers terrible advice. Deeply flawed premices. Was not alt all helpful for my situation. I loved this! It helped me see things from my children’s perspective & have more sympathy & compassion toward them, especially because they’re stuck in the middle. It validated a lot of my thoughts & feelings towards my ex & his behavior and gave me new ways to handle him. it doesnt give enough insight on how to avoid conflicts or how to predict what might come up in various situations. 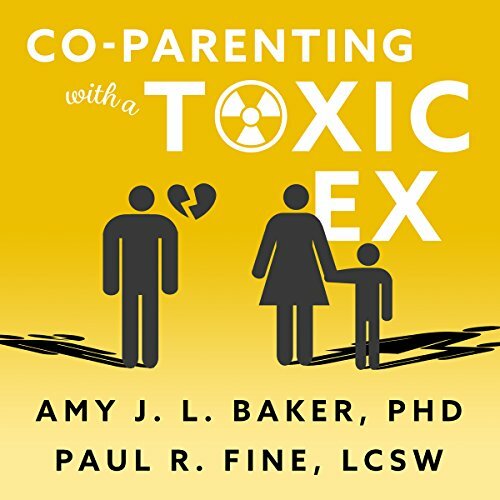 for anybody struggling with a co-parent that they may consider to be toxic, I would definitely recommend reading this book. a wealth of information and and overall pleasure to read. paysource of information too over time, reference again and again inspiration and assistance. very thankful to the authors for taking their time to bless those who read it with the options and opportunities it provides. I found some parts of the book useful providing a decent foundation for a range of coparenting issues and could relate to most of it as both a child and a parent perspective that are supported by other parenting literature, but some parts are questionably biased and missed the realistic approach it seemed to be aiming for. Overall it served it's purpose as a reflective tool and a reminder of how to approach some specific situations, but I would use it as a supplement to other research on the topic rather than a main resource.